Erica Alexander is quickly becoming a favorite for me. 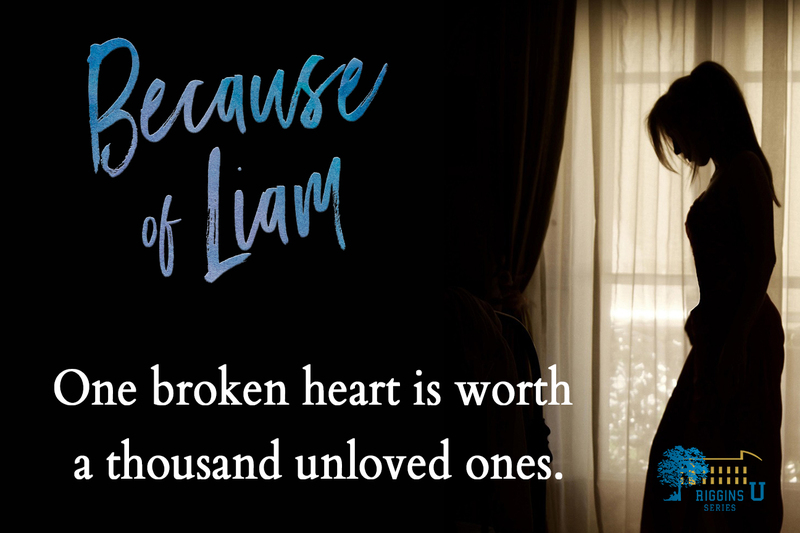 I fell in love with her writing in her previous book and now I am truly hooked after reading Because of Liam. Taking things a bit deeper and more emotional this time around doesn’t stop Liam and River from also being a seriously sweet couple that I absolutely loved! I found myself pleasantly surprised that I loved River and Liam as much as I love Logan and Skye. She set the bar so high with the last book and sailed right over it with this one. I wasn’t sure that I’d like River at first. She came off very abrasive and a bit harsh before, but I found myself actually really enjoying her. Her lack of filter makes for plenty of humor and her sassiness keeps you on your toes. There’s not a dull moment with her. Then, finding out what’s hiding behind all of that really makes her someone that’s easy to love. There’s much more to her than meets the eye and it becomes very clear the more you get to know her that’s she’s hiding a huge heart behind that armor. Liam is very similar to River with that gruff exterior hiding a kind heart. These two may seem like complete opposites but the sparks between them fly from the second they meet and they share much more in common than either of them could predict. The back and forth with them is positively electric! Filled with hilarious banter and a lot of heat you can practically feel the chemistry between them.